Your company has a private cloud that is managed by using a System Center 2012 infrastructure. You deploy an application visualization solution. The two subnets are separated by a firewall that prevents ICMP communications. The private cloud is managed by using a System Center 2012 Virtual Machine Manager (VMM) infrastructure. You create a host group named HG1. You move several Hyper-V hosts to HG1. 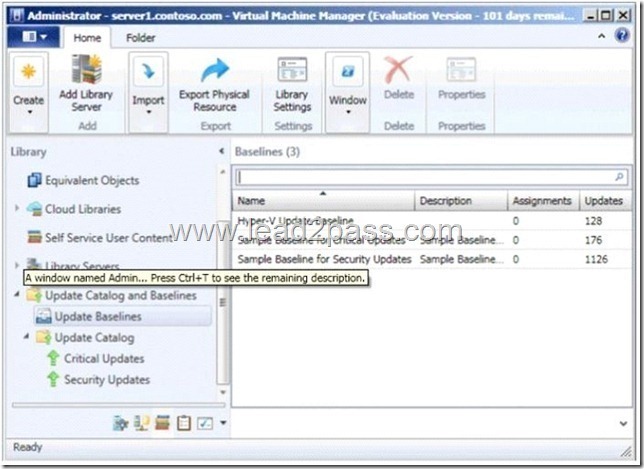 You plan to manage Windows updates for the hosts in HG1 by using VMM. 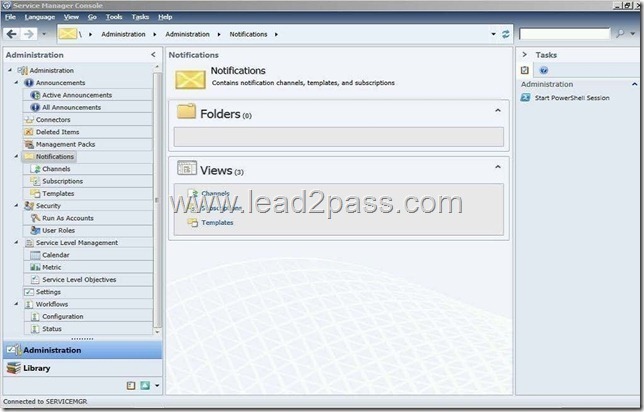 You discover that the updates defined in the baseline are not applied to the hosts in HG1. You need to ensure that the required updates are deployed to the hosts in HG1. Your company has a private cloud that is managed by using a System Center 2012 infrastructure. You deploy Data Protection Manager (DPM) to a server named DPM1. Your company has a private cloud that is managed by using a System Center 2012 infrastructure. The infrastructure contains multiple servers that have Data Protection Manager (DPM) installed. A DPM server named Server1 is running out of hard disk space. You add additional physical hard disks to Server1. You verify that the additional disks are available from the local Disk Management console. You need to ensure that the additional disk space can be used to store DPM backups. Your company has a private cloud that is managed by using a System Center 2012 infrastructure. You deploy Data Protection Manager (DPM) to the private cloud. You discover that the system state backup fails on all of the servers. You can verify that all other data is backed up successfully.